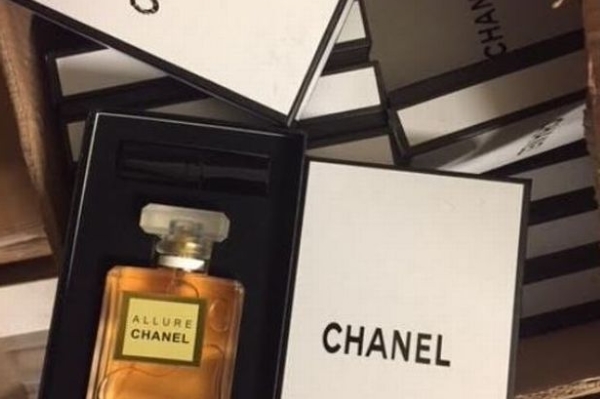 Counterfeit designer products worth an estimated £2.5m ($3.2m) have been seized in Birmingham, UK, including Chanel, Dior and Michael Kors knock-offs. The fakes included handbags, watches, purses, belts, electrical products, footwear, sunglasses and accessories, but there was particular concern about 50,000 bottles of Chanel, Paco Rabanne and Armani perfumes that likely don’t comply with the Cosmetic Products Enforcement Regulations 2013 and so may be hazardous to health. Other counterfeits uncovered in the raids included counterfeits of SuperDry, Louis Vuitton, North Face, Stone Island and GHD products. The warrants issued to allow the raids were connected to Operation Beorma, a joint National Trading Standards (NTS) and National Markets Group (NMG) operation, into the importation and supply of branded counterfeit and unsafe products. “Black market activities like these pose a serious threat to the British economy in terms of lost profits and tax revenues and may be linked to criminal activities such as child labour and modern day slavery,” commented Cllr Barbara Dring, chair of Birmingham City Council’s’ Licensing and Public Protection Committee.